DNA is the building block of life, but in the near future it may be used to store our data, as well. DNA can pack data really densely. A single gram of DNA holds more than a 700 TB and it is not nearly as sensitive or fragile as existing data centers. Just recently researchers successfully converted 739 kilobytes of data in genetic code and then retrieved the content with 100 percent accuracy. On hard disks, files are stored as a series of zeros and ones in some magnetic-related sequences. The researchers recently worked out a system to translate the binary code into one with four characters instead: A, C, G and T. They used this genetic code to synthesize actual DNA with the content embedded in its very structure. As the ouput they reversed the process. 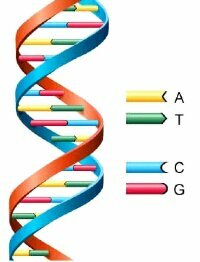 They sequenced the genome with data imprinted to DNA and translated it back into zeros and ones. The result was a re-creation of the original content without a single error! This is not the first time DNA has been used to store data, but the latest iteration is far more efficient than its predecessors. The method would be especially useful for archives that need to be stored long-term without frequent access, acting as an emergency backup rather than a practical replacement for your drive. Sequencing and especially synthesizing the DNA is a pricey process, but like most new technologies, it is getting cheaper fast. The researchers say DNA data storage could be a large-scale solution as soon as 2020?